So, you're ready to leave your country and start a new life somewhere, but you're not sure which destination is right for you. We have picked the top ten most welcoming countries for immigrants, from the places with booming economies to the spots with the most progressive immigration policies and immigrant support services. Don't just throw a dart at a map or follow your relatives: consider what your priorities will be and pick the country that's right for you. Updated for 2017. See the previous version of this article. When it comes to ranking the best countries in the world, India comes in at #25 out of the top 60 according to U.S. News. Despite this overall ranking, however, India makes it to the top ten when it comes to immigration-friendly countries. With a population of over 1.3 billion people, India ranks as the second most populous country in the world. Despite their population size, however, India still is home to more than 5 million immigrants. So, what is it that makes this such an appealing country to immigrants? A combination of low cost of living and immigration friendliness certainly puts India at the top of many immigrant’s lists. It is perhaps the low manufacturing costs and the fact that India ranks as #4 in the best countries to start a business that appeals to the entrepreneurial minded. 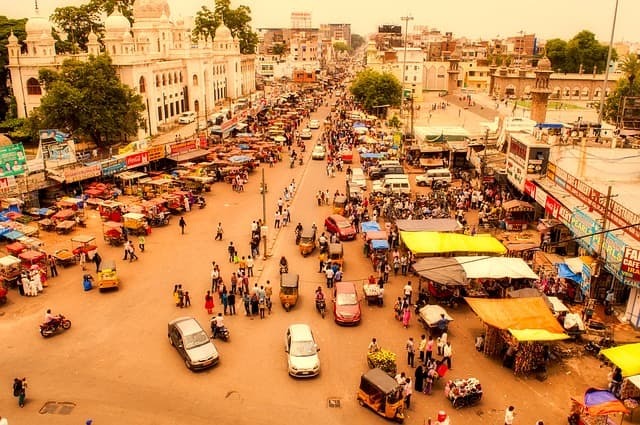 The political climate in India is a concern, however, and before deciding to immigrate to the country, it’s important to fully research your destination state and city. 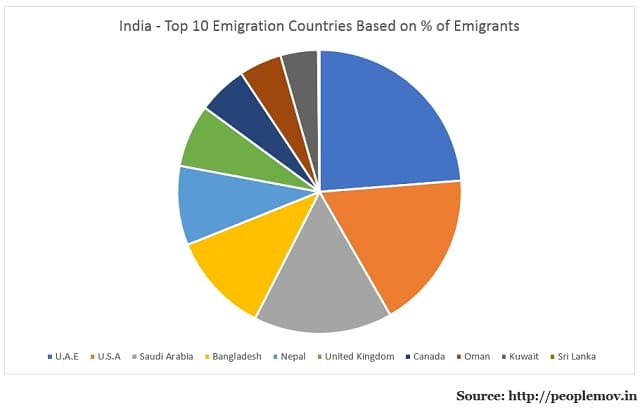 Although India is a popular country for immigrants, most of these immigrants are those seeking refuge from neighbouring countries. For these refugees, the limited resources and poor job market in India are far less concerning than they might be for citizens of free countries. 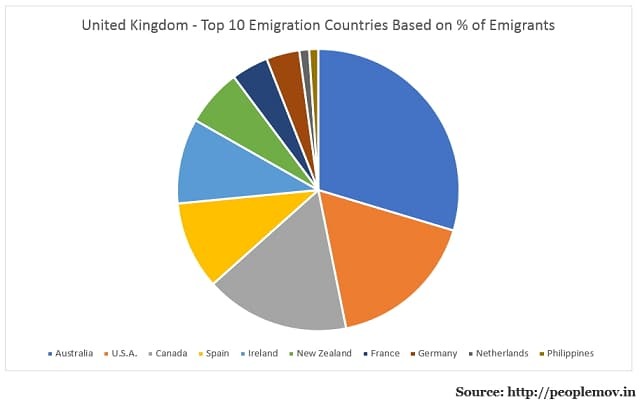 It is also worth noting, that although India has been a destination for over 5 million immigrants, some 15.6 million people have emigrated. 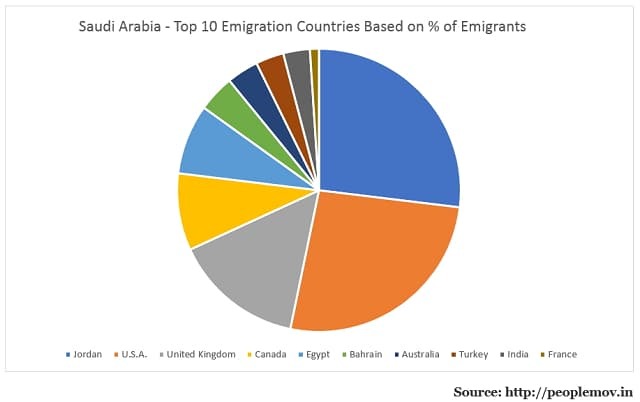 2.1 million of these emigrants headed for the United Arab Emirates and 1.6 million for the United States. To learn more about immigrating to India, contact The Indian Board of Immigration. 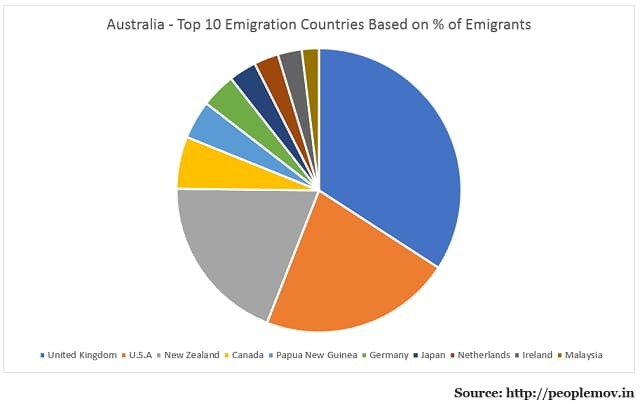 To find out more about immigration to Australia, contact the Australian Department of Immigration and Border Protection. 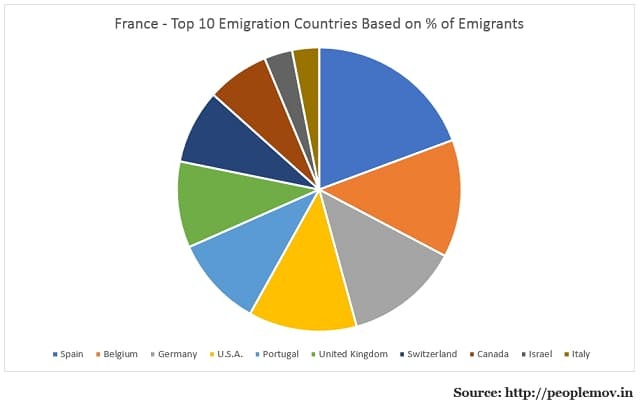 To find out more information about immigrating to France, contact The French Diplomat Office. 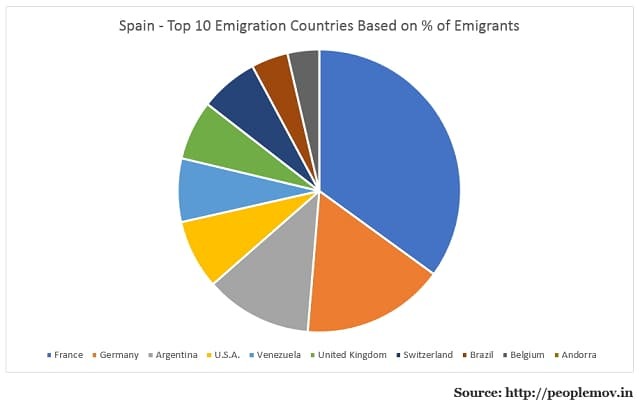 So, just what does it take to immigrate to Spain? Amid increasing numbers of immigrants, Spain recently made reforms to their immigration policy, making things a little more confusing for those seeking entry. Depending on your reason for seeking entry to Spain, requirements for your application vary. 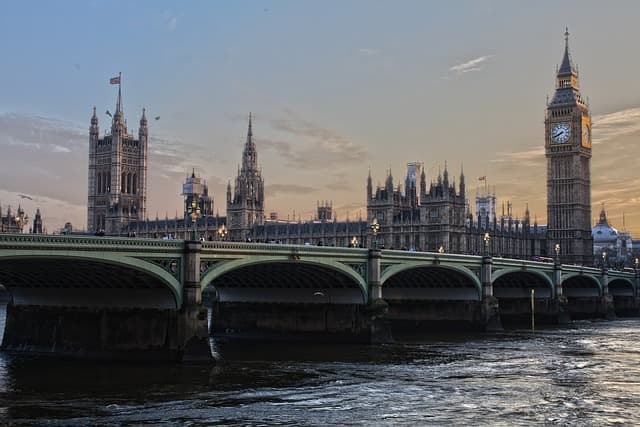 You can find details on specific immigration requirements and here. To find out more information about immigrating to Spain, head to the EU Immigration Portal. 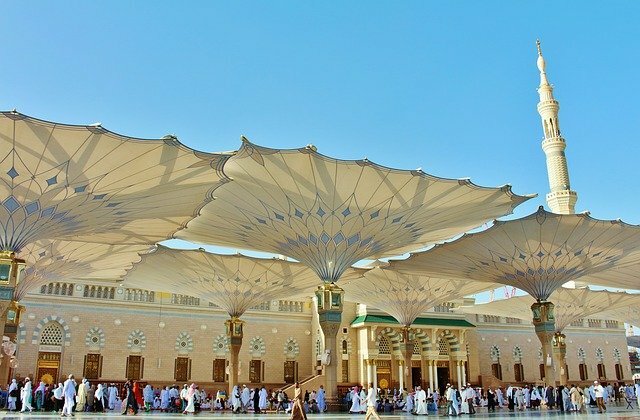 To find out more about immigrating to Saudi Arabia, head to the Saudi Arabia Visa Portal Online. 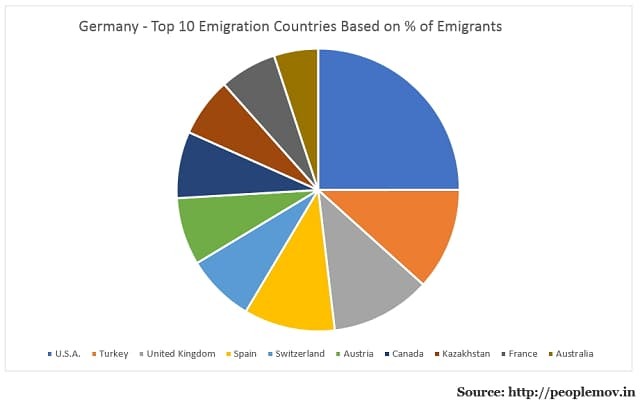 How do you go about immigrating to Germany? You may be eligible to immigrate to Germany if you meet the basic requirements set out by law. 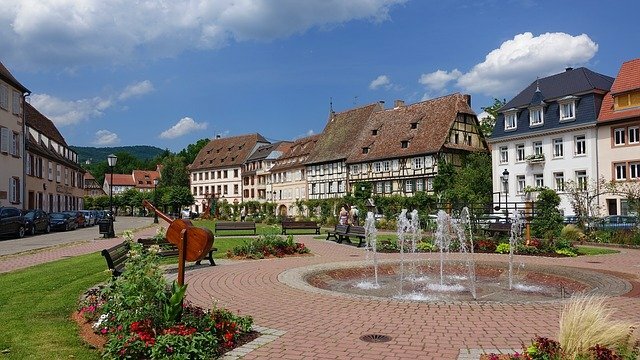 These requirements include financial stability, having health insurance coverage, being proficient in basic German, and possessing a Visa IF traveling from certain countries listed here. 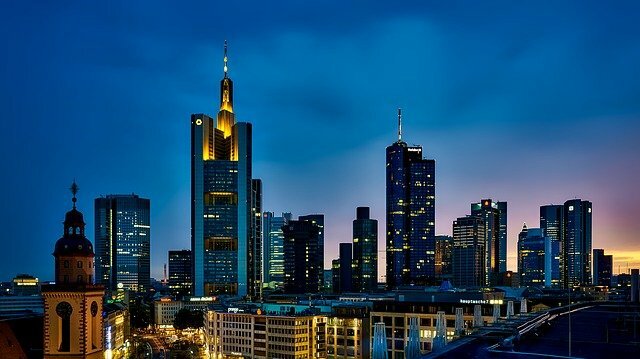 For more information on the requirements needed to obtain permanent residence in Germany visit this link. To find out more about immigrating to Germany, contact the Federal Office for Migration and Refugees. Ranked 27th out of the top 80 countries by US News as one of the best nations in the world, the Russian Federation is the largest country by landmass in the world. With one of the largest growing economies and vast natural resources, the Russian Federation is becoming an attraction for immigrants worldwide. 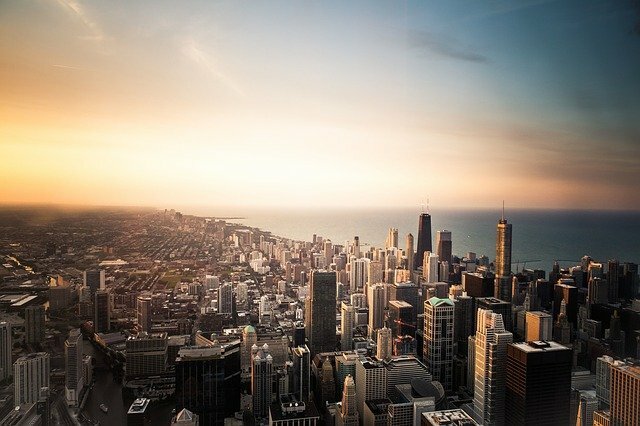 Despite poor human rights, high levels of corruption, and not being a particularly safe place to live, the sense of opportunity is a shining light for immigrants from smaller, poorer neighboring countries. The Russian Federation currently has a population of 139,390,205, 12,270,388 of those s are immigrants from other nations. Approximately half of those immigrant’s hail from the Ukraine and Kazakhstan alone. Currently, some 3,647,234 individuals living in Russia were born in the Ukraine and 2,648,315 were born in Kazakhstan. 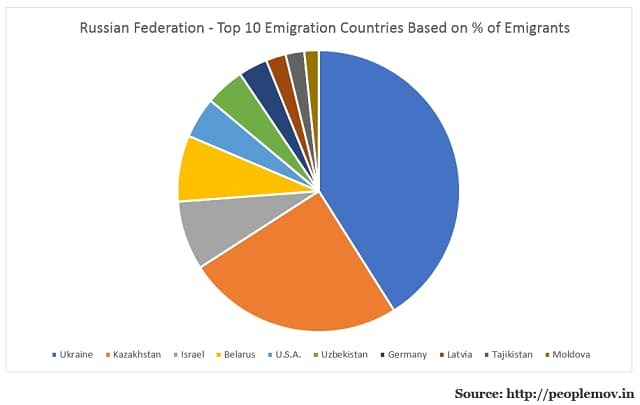 Other major contributors to the Russian immigrant population include Belarus, Uzbekistan, Azerbaijan, Georgia, Armenia, Kyrgyzstan, Tajikistan, and Moldova. The vast majority of these immigrants come seeking employment in menial jobs with few amenities, but jobs all the same. How do Russian’s feel about the influx of immigrants and current immigrant population? Ask the Russian government and you will learn that they are happy to welcome immigrants willing to work low-paying (or no paying) jobs in exchange for a roof over their head in the vast country. For the Russian government, welcoming immigrants is guaranteed labor. This is labour that Russians know is imperative to rebuilding their country following a prolonged recession. It is this need for immigrant labour that forces the Russian people to accept their government welcoming immigrants. Nationals who show anti-immigrant sentiments face government persecution for promoting unacceptable nationalism. So essentially the Russian people have little say in the acceptance of immigrants. This does not mean, however, that immigrants are treated well by nationals. Studies show that some 67% of Russians feel negatively towards immigrants. The immigrant influx is seen as an invasion by poor nations, which is dragging down Russia as a whole. These negative sentiments are worsened for select national groups who are viewed with intolerance such as non-Slavic Russians coming from the North Caucasus. While few residents of more established nations seek immigration to the Russian Federation, how would you go about seeking residency if you wanted to? In order to move to Russia permanently, all immigrants must have a Russian sponsor who can vouch for them. It is also necessary to submit an application to the Russian government. If accepted, a five-year temporary residency visa will be issued. This can be renewed repeatedly. It is important to know that Russia has national quotas set for the number of immigrants they will accept for each country every year. If you want to become a Russian citizen after residency has been granted, you must live in the country for 7 years or marry a Russian national and file the appropriate paperwork. Ranked 7th out of the top 80 countries by US News as one of the best nations in the world, the United States is recognized for being the most dominant military and economic power in the world. A diverse country in terms of cultural influence, the U.S. lures many immigrants with the promise of human rights, freedom, religious freedom, a rich business climate, and opportunity for a better life. The United States currently has a population of 310,232,863, 42,788,029 of those are immigrants from other nations. A plurality of these immigrants come directly from Mexico. Some 11,635,995 individuals in the U.S. currently are Mexican by birth. The U.S. also has a large percentage of Asian immigrants hailing from China, the Philippines, India, Vietnam, and South Korea. 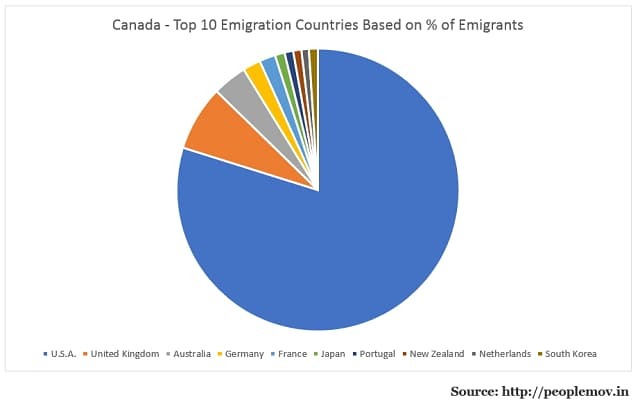 The immigrant population is rounded out with immigrants from Puerto Rico, El Salvador, Cuba, and Canada. The attraction of the U.S. lies in existing cultural communities from many of these nations in addition to the belief that the U.S. is the land of opportunity. 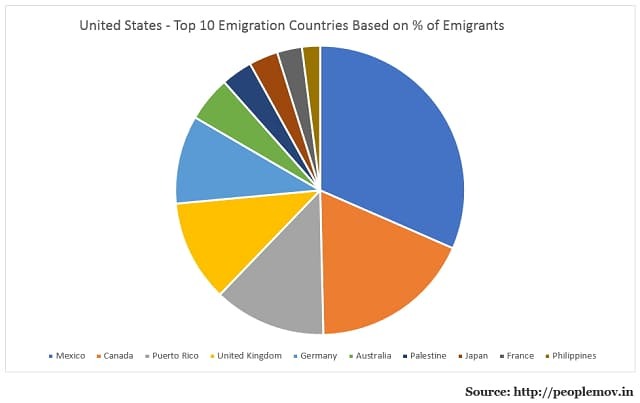 How does the U.S. feel towards immigrating populations? That really depends on who you ask. It’s no secret that President Donald Trump is no real fan of immigrants, but polls show that some 60% of Americans disagree with his wall-building plan. Recent research also shows that the general feeling that immigrants are a burden on the country has declined by 36% since 1994. In fact, 63% of Americans now feel that immigrants strengthen the country. So overall, while there are some individuals who feel their jobs are being stolen by immigrants, that number is much lower than some may have you believe. In general, U.S. citizens are welcoming and accepting of immigrating populations. To apply for permanent residence in the United States you can be sponsored, i.e. you must be related to a U.S. citizen or green-card holder. Note that different relationships are given higher priority over others. Or you must secure employment with a U.S. company. You may also qualify as a refugee or become a resident through the “green card lottery.” You can learn more about each of these residency programs here. Don't think these countries are really that great? Check out our list of the worst countries to immigrate to.